Welcome to your GSC Interact Page. This page is to help you find ways to connect and get involved. The menu items above and the calendar below are linking you to the GSC Community at large and the new Forums where you can speak up, advertise and have a discussion with fellow members. The Surveys are where your voice can be heard to make the Club better and our new Volunteering page is where you can help make it happen. Please get involved and make GSC a better Club! The best way to meet fellow members whether old time sailors or fellow newbies and make the best of your GSC experience is to get involved! The easiest way to get involved is to sign up and just do it! Yes... it sounds easy, perhaps too easy… but really that is all it takes! Have you ever wondered what goes into organizing a race on the water? Race committee is for you. Or perhaps you have the urge to hit the water and win? Join our Saturday series racing crews or skipper your own boat. Are you a budding culinary expert? Or looking to try a new recipe? Our Second Rear Commodore is always looking for help with food for our monthly potluck dinners. Interested in mentoring/coaching adult or Junior sailors? Step up and offer to help teach, coach or run an education seminar for your fellow club members. Love cooking up a mean batch of Mexican food? Offer to provide the food for our post-race dock parties after each summer series race. 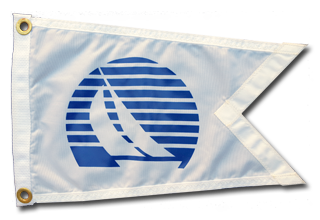 In SailAway or are you thinking you might want to captain or own a boat of your own? Come out to our SailAway work parties and help the SA team maintain boats and assist with the boat repairs. Are you always ready for a fantastic party and love the idea of helping out to run an event? Socials are always fun and a great way to meet other members so reach out and offer to help set up or coordinate. Or are you a Mr./Mrs. Fix It who is always looking for a way to stay busy? We always have something to fix so just ask around and we will get you to the right place. So, don’t be shy, sign up or ask someone to point you in the right direction. It is so easy to get involved. You might be sailing in the morning, find yourself in the race committee boat during the afternoon, and finally cooking up a storm in the evening!